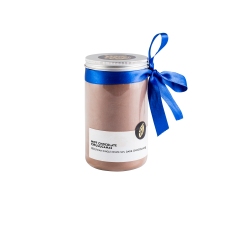 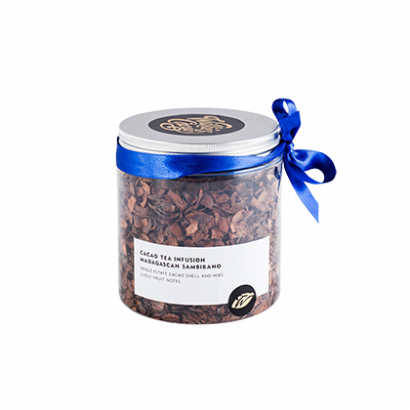 Cacao tea infusions are a lighter way of enjoying hot chocolate drinks that are still full of cacao flavor. 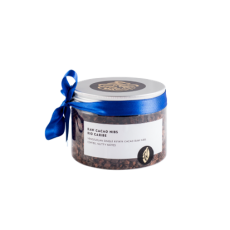 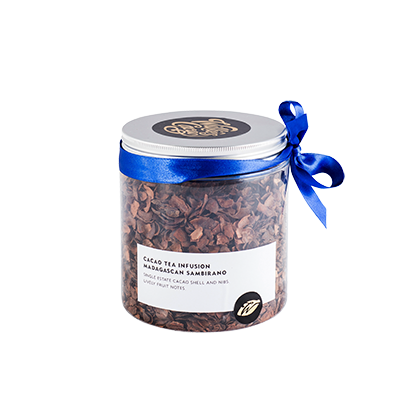 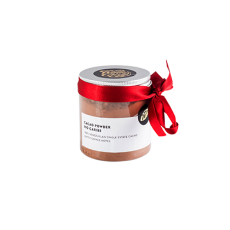 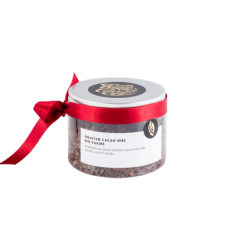 Cacao Tea Peruvian reflects the raisin and plum fruit notes of the single origin cacao bean.They are made from cocoa shell, and the few nibs remaining when you have roasted and shelled the beans. 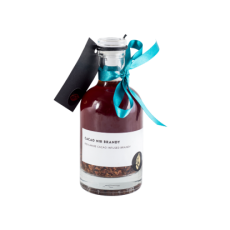 With 5 different tasting beans to choose from, ranging from the fruity Madagascan to the nutty Venezuelan, this is one delectable infusion.